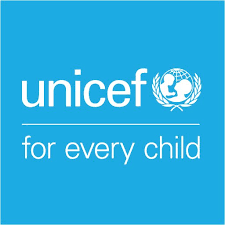 The United Nations Children’s Fund (UNICEF) has donated 20 health kits to cater for the health needs of persons directly affected by the recent flood disaster which have wreaked havoc on parts of Benue State. UNICEF Health Specialist (Immunisation), Enugu Field Office, Dr. Ifeyinwa Anyanyo, while delivering the items to the Benue State Government at the Internally Displaced Persons (IDPs) camp located at the Makurdi International Market, said the items would largely help in addressing the health needs of the flood victims. The relief materials which included different brands of drugs and medications were to cater for the flood victims for three months as part of the intervention and support of UNICEF to those of them who are currently taking refuge at the IDP camp in Makurdi. “Today, we have donated 20 health kits to take care of the three months health needs of 10,000 victims of the flood disaster in Benue state, Anyanyo said while also commending other development partners who had come in in different ways to ameliorate the plight of the victims,” Anyanyo said. Asides the donation, Anyanyo added that UNICEF had also supported in drilling a borehole in the camp, provided two water tankers and water bladders of 5,000 liters capacity as well as supported in the areas of water, sanitation and hygiene promotion in addition to working with the medical team in the camp to prevent outbreak of diseases. Reacting to the gesture, Permanent Secretary, Benue State Ministry of Health, Dr. Joseph Kumba, appreciated the international body for its speedy intervention in every emergency situation the state. Receiving the items on behalf of the state government, the Commissioner of Water Resources and Environment, Dr. Terlumun Utsev, commended UNICEF for always coming to the aid of the state whenever the need arose. “UNICEF has been partnering Benue state and they have doing perfectly well as you can see. They have alway intervened in the area of water, drugs, sanitation and in other areas of need. 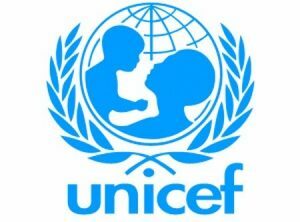 UNICEF has been doing a lot for the people of Benue state. In the provision of boreholes in Benue communities and as you can see they have dug one in this camp already,” Utsev said.